There must be some reason why some 30,000 new Limited Companies are founded in Ireland each year right? In fact, according to a recent article in the Irish Times, this year so far saw the largest increase in the number of Limited Company set-ups compared to 2015. 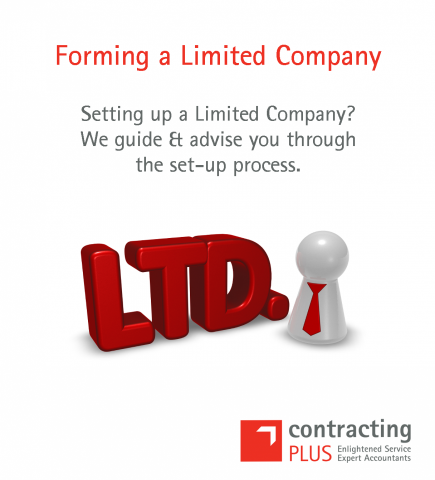 There are a number of significant advantages to forming and operating your own Limited Company. Contracting 365, a Contracting PLUS solution offers Own Limited Company set-up services which guide you through the process, minimise the administrative work and provide everything you need for your business, from straightforward accounting to professional financial advice. Company name: The name of the company can be of great importance to certain contractors especially if your long term plan is to build a brand and expand your business and services.You can check the availability of your new company name on the CRO website. Company director(s): Recent legislation allows the formation of a limited company with a single director (yourself) and separate person to act as company secretary. As the director you are responsible for managing the company within the parameters laid out in the Articles of Association. A full overview of director and company secretary responsibilities are available to view here. Company Address: You will need to provide an Irish address, this address will be used for all CRO and official correspondence. Shareholders: Shareholders are the owners of the company, they have certain rights and can sanction decisions and appointments. A limited company is effectively owned by its shareholders and run by its directors. If you’re starting your own company, you can be both a director and a shareholder. You need to decide on the value and quantity of shares – usually a quantity of 100 shares of issued share capital. Company Formation: Once you have decided on all of the above you need to submit your company registration form (A1) to the CRO to complete the formation process.This is where Contracting 365 can speed up the process.We have a dedicated team of professionals on call and an easy online step by step registration process to get you started in a timely manner. VAT registration:Depending on your business turnover or client requirements you will more than likely require VAT registration.This is included in our set up process and once your company is formed we will automatically submit your VAT registration documents to Revenue for processing. Company Bank Account: It is a legal requirement to open a company bank account when you have a limited company. The company exists as a separate legal entity, it has its own legal rights and obligations, and therefore any profits or losses incurred belong to the company. A company account is not your personal account and it must be kept separate. We assist you in fast tracking the set-up of a company bank account. Company Insurances: Most clients or recruitment agencies will require that you have in place sufficient company insurances such as Employers Liability; Public Liability and Professional Indemnity Insurance.Contracting 365 has partnered up with one of Irelands leading brokers and can offer you an extremely competitive rate for all 3 company insurances from as little as 200 per annum. The CRO published “Six things every company director should know” click here to get up to speed on what your responsibilities you have towards your limited company. Contracting PLUS has over 15 years’ experience setting up limited companies, we streamlined the process to save you time and money.Once your company is set up we will provide you with 24/7 access to your accounts using our in-house online accounting software and you will have access to our team of chartered accountants, tax advisors and dedicated account managers. Our team of accredited, in-house consultants are on hand to answer your questions and offer you the best advice when it comes to planning, managing and growing your business.We will advise on how best to maximise your income, what expenses to claim and how to claim them as well as discuss the best solution that truly fits your business and in the future. Why not call our team today on 1800 54 54 22.